Here are a few factors that’ll impact most businesses (with a strong reliance on online marketing and sales channels) in 2016. Google recently announced that it will be giving preference to secure HTTPS pages while indexing content for its search results. User experience and security has always been a top priority for Google and this particular release is another step towards this goal. Here’s a step-by-step guide for making this change. Secondly, if you haven’t already moved to a reliable and secure web hosting service, I strongly recommend you do so (see this useful comparison). This is important because the moment Google detects any security loopholes or threats on your website, it will make a move to protect its users by deindexing your search results. That can be a major blow to any business. The performance of your web hosting service also has a direct impact on your page load times and other user experience factors. When a client visits your website, he reads your message and immediately decides whether he wants to know more or not. Your web copy often makes or break your sales prospects. Research shows that an average internet user spends approximately 3 seconds on a website before leaving it. Your challenge is to grab their attention in those initial seconds and persuade them to know more. Instead of writing long, detailed and complex copy describing your product on the home page, stick to short, simple and to the point copy that focuses on the key benefits of your product. For example, look at the homepage copy of Facebook – to the point, simple and focused on the benefits. Make it easy for your visitors to understand the benefit you’re offering. Keep your vocabulary simple and focus on driving action. 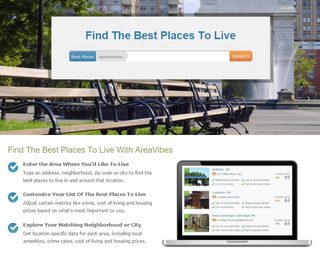 Another great example is the homepage of AreaVibes, a portal that helps users find the best places to live in the U.S. The simpler your homepage copy, the better your chances of engaging the visitors. Did you know that almost 25 percent of your potential customers abandon purchase on your website because of a complex and confusing payment process? The simplicity of your checkout and buying process has a major impact on your sales numbers. The more complex it is, the harder it becomes for shoppers to complete a purchase. Multiple redirections during the checkout phase, asking customers to fill multiple fields and lack of payment options are some of the key factors make buying a hassle on your site. According to Selz, a leading eCommerce and digital product selling app, if your checkout process takes more than 3 steps to complete, your buyers are much more likely to abandon shopping mid-way. They examined the buying trends of more than 100,000 entrepreneurs and small businesses that use Selz to sell digital downloads like eBooks and courses, and different physical products and services. 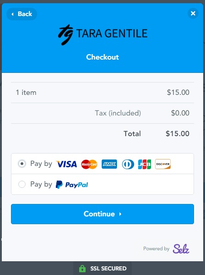 As a result, the checkout page of their eCommerce app doesn’t involve any redirections and supports multiple payment options like Master Card, Visa and PayPal. The same approach has been adopted by several other leading eCommerce store apps. But even if you’re using a custom developed checkout process, make sure that you benefit from this finding and make your buying process as simple as possible. How often do you interact with your subscribers, existing customers and your general target market? In 2016, brands that regularly engage their target audience, using multiple channels, are likely to get the lion’s share of success. According to research, your existing customers are much more likely to purchase from you again, if you keep the engaged, as compared to new acquisitions. There is a 5 to 20 percent probability of selling to a new prospect, and 60 to 70 percent probability of selling to an existing customer. Another study suggests that almost 74 percent of customers expect brands to contact them immediately after purchase and stay in touch regularly regarding their needs and expectations. Therefore, it’s important that you have a regular system in place to keep your clients engaged, and continuously remind them about your presence. You can do that by creating different series of automated emails for clients who’re at different stages of their contract with you. Publishing regular blog posts, premium content, eBooks, research studies and exclusive training programs are some of the other ways you can keep adding value to your customers’ business and strengthen your relationship with them.